1. 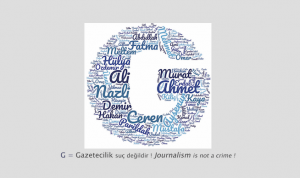 The name of the organisation is the European Federation of Journalists (EFJ). Its headquarters is based in Brussels (Belgium), presently in the Residence Palace, International Press Center, Block C, Rue de la Loi 155, 1040 Brussels. 2. a) The European Federation of Journalists shall consist of journalists’ trade unions and associations in Europe and shall act in accordance with the provisions of its constitution, as the regional group of the International Federation of Journalists. It has been created to represent the interests of journalists’ unions and associations and their members within the industrial, economical, social, cultural, legal and political framework of Europe, particularly the European Union and the Council of Europe. It is a democratic organisation, independent of all ideological, political, governmental and religious bodies. It shall work in all parts of Europe to enforce trade unionist and professional matters and to protect and defend freedom of expression and information as well as journalists’ rights, according to the European Convention on Human Rights, Article 10 (1). b) Europe as defined in these rules is composed by the countries which are members of the Council of Europe. c) The European Federation of Journalists is an Association Internationale sans but lucratif (AiSBL) as defined under Belgian law. The Administrative Committee is responsible for meeting the Federation’s obligations as an AiSBL. d) The European Federation of Journalists is an autonomous body of the ETUC (European Trade Union Confederation) and officially accredited by the European Union as a social partner. (o) to promote equality of gender, to exercise non-discrimination in its activities and to strive to achieve gender equality in representation within its statutory bodies. 4. 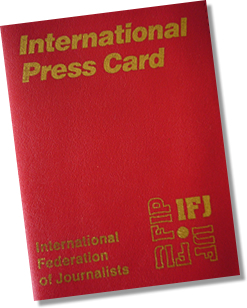 All European member-unions and associations of the International Federation of Journalists (IFJ) are entitled to be full members of the European Federation of Journalists. 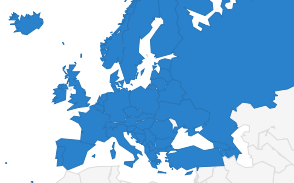 No member-union or association is allowed to be a member of the European Federation of Journalists without being a member of the International Federation of Journalists. Journalists, submit an application form to the General Secretary of the European Federation of Journalists, and after acceptance by the Steering Committee, pay the fee as provided by article 44 of these rules. 6. Unions and associations from countries outside Europe may be accepted as EFJ member-unions or associations after proposal by the EFJ Steering Committee ratified by its next Annual or General Meeting. The approval of at least two-thirds of the voting delegates present is required to endorse the admission of new EFJ members from outside Europe. 7. The General Meeting (GM) shall be the supreme governing body setting the general direction of the Federation. 8. The GM shall normally meet every third year in advance of the IFJ Congress. It shall be composed of one delegate from each member union and association who shall have the right to vote and the members of the Steering Committee. The IFJ President and IFJ Executive Committee members elected from Europe shall have the right to participate. Each member union and association has the right to send observers from their union. The Steering Committee, on the proposal of member unions of the EFJ, can invite guests from the ETUC and other national and international organisations, as well as the IFJ member unions. 9. The Steering Committee may convene an extraordinary GM at any time if three fourths of the members of the Steering Committee vote in favour. The Steering Committee shall convene an extraordinary GM if half of the member unions and associations make such a demand in writing. 11. Member unions and associations who have not paid their membership fee according to provisions shall not have the right to vote or to submit candidates for the Steering Committee. 12. The working languages of the GM shall be English, French and German. 13. The Steering Committee will prepare the agenda of the GM and decide on voting rights. The invitation and draft agenda has to be sent to member unions and associations at least two months before the GM. 14. The GM shall have its own working rules. A report on decisions of the GM will be prepared immediately and sent to member unions and associations. The minutes will be confirmed by the Steering Committee. They shall be kept on record in the secretariat. a) elect: a Presidium of three people to chair the GM; an electoral commission. Members of the Presidium and of the electoral commission shall not be members of the Steering Committee nor candidates for the next Steering Committee. b) confirm the agenda, changes of the working rules proposed by the Steering Committee and the voting rights of the unions and associations. c) decide on the admission of urgent motions and table urgent points or motions to the agenda only with the approval of at least two-thirds of the voting delegates present. Urgent motions can be presented until the opening of the GM. d) approve the minutes of the last GM respectively of the last AM. e) decide on membership of unions and associations failing to meet the EFJ financial obligations. f) approve the report of the Steering Committee, which will be presented by the President. g) consider the reports of the Expert Groups. h) approve a report of audited accounts and finances presented by the Honorary Treasurer and consider the report of the Finance Commission. i) consider a report on the activities of the Secretariat. j) adopt a budget plan for the following year and the framework for a three years’ budget. k) decide on motions for activities of the European Federation of Journalists. Member unions and associations with voting rights and the Steering Committee have the right to submit motions. Motions from member unions and associations must be submitted to the Steering Committee at least one month before the GM and shall be sent to member unions and associations at least two weeks before the GM. l) decide on motions for changes of the rules of the European Federation of Journalists. These motions must be submitted to the Steering Committee at least two months before the GM and shall be sent to member unions and associations at least one month before the GM. To be adopted they must be accepted with the approval of at least two-thirds of the voting delegates present. New rules shall be promulgated by the Steering Committee no later than three months after the conclusion of the GM. m) adopt the working programme of the EFJ. n) decide on the establishment of expert groups. o) decide on membership fees for EFJ member unions and associations for the next three- years period. p) elect the President and Vice-President. q) elect the other members of the Steering Committee. r) elect up to four reserves for the Steering Committee. s) elect the members of the Finance Commission. t) revoke the mandate of Steering Committee members if required, as set out in articles 23 and 27. 16. Member unions and associations which would like to host a General or Annual Meeting must submit their invitation including information on transport, facilities, costs, conditions and sponsors 6 months in advance of the meeting to the Steering Committee. 17. Between the General Meetings, there shall be Annual Meetings (AM), which shall focus on a subject in line with the priorities of work of the EFJ. 18. The AM shall be composed of one delegate from each member union or association who shall have the right to vote and the members of the Steering Committee. The IFJ President and IFJ Executive Committee members elected from Europe shall have the right to participate. Each member union or association has the right to send observers from their union. The Steering Committee, on the proposal of member unions of the EFJ, can invite guests from the ETUC and other national and international organisations, as well as the IFJ member unions. 19. The working language of the AM shall be English, French and German. 20. The AM is prepared by the Steering Committee in cooperation with the EFJ secretariat. The invitation and draft agenda have to be sent to member unions and associations at least two months before the AM. a) elect a Presidium to chair the AM and a motions’ commission. b) confirm the agenda and the voting rights of the unions and associations. c) add urgent points to the agenda only with the approval of at least two-thirds of the voting delegates present. d) approve the minutes of the last GM resp. of the last AM. e) approve the report of the Steering Committee, which will be presented by the President. f) consider the reports of the Expert Groups. g) consider a report on the activities of the Secretariat. i) adopt a budget plan for the following year. j) decide on motions. Member unions and associations with voting rights and the Steering Committee have the right to submit motions which are of journalists’ and journalists’ unions and associations’ interest in Europe. They must be submitted to the Steering Committee at least one month before the AM and shall be sent to member unions and associations at least two weeks before the AM. The voting system shall be the same as the voting system at the EFJ General Meeting. Urgent motions can be submitted until the opening of the AM and must be accepted with the approval of at least two-thirds of the voting delegates present. Motions at the Annual Meeting cannot deal with EFJ rules. k) revoke the mandate of Steering Committee members if required as set out in articles 23 and 27. 22. The Steering Committee is the administration body of the European Federation of Journalists and the working body which shall be responsible for the co-ordination and supervision of the European Federation’s activities. It shall propose a working program to the GM and shall be responsible for the execution of the GM and AM decisions. The coordination includes the work of the IFJ Project Division, as far as Europe is concerned. 23. The Steering Committee has nine members and a mandate of three years. They shall be elected by the GM. They can be reelected to the Steering Committee for a maximum of two additional periods. Vacancies in membership of the Steering Committee will be filled by the reserves in the order of votes received at the last GM. If a member of the Steering Committee fails to attend half of the meetings within a year without good reasons, his/her mandate can be revoked and he/she can be replaced by a reserve. 24. Member unions and associations have the right to propose delegates or observers for the list of candidates. No union or association and no country may have more than one representative in the Steering Committee. The list of candidates will be closed one month before the GM and circulated among member unions and associations three weeks before the GM. It can be reopened by the opening of the GM if a qualified majority of two-thirds of the delegates decide it. All candidates must be registered as delegates or observers and must have a written mandate from their home union or association which commits to pay the expenses connected to the function. 25. The members of the Steering Committee and the reserves shall be elected by secret ballot (see 15. A). 26. The Steering Committee must have a minimum of six elected members or reserves to constitute a quorum at any committee meeting. If a vote is required on any matter, a simple majority of votes by members will decide in favor or against. In the event of an equal number of votes being recorded, the chair of the meeting will be allowed a casting vote. 27. The Steering Committee members failing to fulfill their obligations as provided in article 24 or for other reasons can have their mandate revoked by a two-third majority of the next GM or AM, on a motivated proposition by the Steering Committee. 28. The Steering Committee elects a Honorary Treasurer from its members. 29. The IFJ President and IFJ Executive Committee members elected from Europe shall have the right to participate in the meetings of the Steering Committee without the right to vote. 30. The working language of the Steering Committee shall be English. 31. The EFJ President is the leading political representative of the EFJ. He/She cares for the execution of the Federation’s rules and decisions. He/She represents the Federation externally, and in consultation with the secretariat, convenes the meetings of the Steering Committee and chairs them. 32. The EFJ Vice-President assists the President in his/her duties and replaces the President when he/she is not available. 33. In the event of the Vice-President leaving the Steering Committee during the three-year elected period, members of the Steering Committee will elect a new Vice-President from among remaining members of the Committee. The period of office will end at the same time that all elections are held for the new Steering Committee. 34. The Honorary Treasurer supervises the financial developments of the EFJ and reports to the Steering Committee, the General Meeting and the Annual Meeting. represent the EFJ towards third parties and have the power to represent the EFJ in legal matters. 36. The objective of the Finance Commission is to review the EFJ accounts. The Finance Commission must report to the General Meetings and give status reports to the Annual Meetings. 38. The General Secretary is appointed by the Steering Committee. He/ She is a member of the Steering Committee without voting right. 39. Staff are appointed by the General Secretary subject to the endorsement of the Steering Committee. Staff are responsible to the General Secretary and have the right to participate in meetings of the Steering Committee, the GM and AM without voting rights. 40. EFJ-Expert Groups are working bodies of the Steering Committee. The Steering Committee appoints its members and decides on the aims and objectives of the work. The Expert Groups are open to experts from outside Europe. 41. Members must be experts proposed by member unions and associations which commit to pay the expenses connected to the function. 42. The Expert Groups work by mandate and must give a report of their work to the Steering Committee at least twice a year. They also report to the General Meeting and the Annual Meeting. The Expert Groups shall, in cooperation with the European office make relevant information available on the IFJ/EFJ-websites. The working language of the expert groups is chosen by the members of each expert group and is German, English, or French. 43. The activities of the EFJ will be financed through the EFJ membership fees, IFJ contribution, and other sources. The financial year of the EFJ shall be from January 1 to December 31. 44. Member unions and associations shall pay fees according to the decision of the GM. The fees shall be paid by April 30 each year. Member unions and associations admitted to the EFJ during a year shall pay fees for that year on a pro rata calculation for the unexpired period of the year. 46. Unions and associations failing to pay their fees or failing to seek exonerations or special arrangements with the Steering Committee, shall have their membership terminated by the GM. They will be accepted back into the European Federation of Journalists on payment of fees owed. 47. The European Federation of Journalists may be dissolved only by decision of a General Meeting called specifically for this purpose and with at least three quarters of the EFJ membership present. A vote on the dissolution of the EFJ shall require a majority of 75 per cent in favor among the votes cast. In the event of a vote in favor of dissolution, the GM shall determine the allocation of funds to appropriate trade union work within the IFJ. 48. Matters not provided for in these Rules shall be decided by General Meetings or, if they arise between General Meetings, by the Annual Meetings. 49. These Rules, which are framed and interpreted according to the conditions and circumstances set out in the Belgian law of June, 27th, 1921 (Title III), shall at all times be interpreted and applied in a manner which avoids undue technicality and which best maintains and promotes the character and objects of the Federation. 50. Modifications to the Rules shall be submitted for Royal Assent and published in annexes to the Moniteur Belge in accordance with Belgian law. Adopted in Bergamo, 15-17 June, 2012. Modified in Sarajevo, 25-26 April, 2016.